KEARNEY – Jerry Watson had a decision to make. 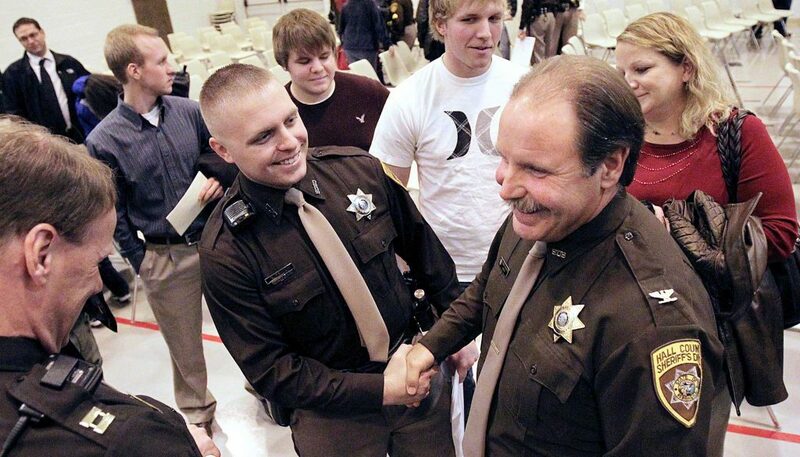 The 62-year-old former Hall County sheriff could have stepped away from law enforcement, slowed down and eased his way into retirement after losing his re-election bid last May. He certainly considered the option during a period of soul-searching. “Do I hit the brakes or do I hit the gas pedal?” Watson asked himself. Instead of sitting back and collecting Social Security benefits, Watson is in a classroom at the University of Nebraska at Kearney, where he’s finishing the degree he started four decades ago. 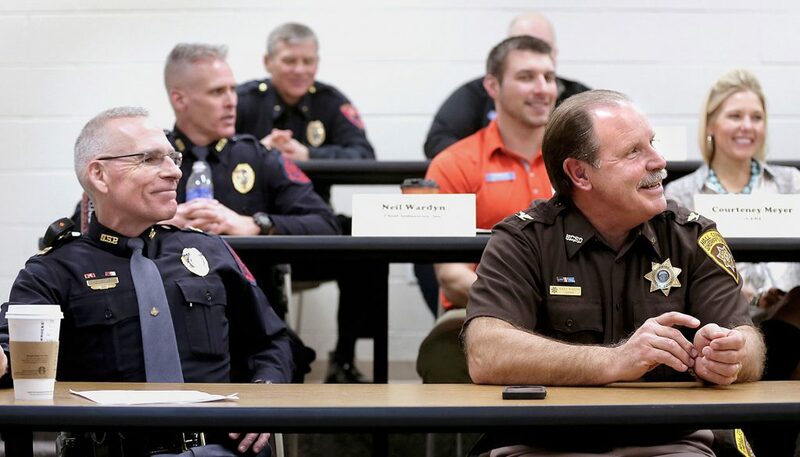 Watson may have the credentials of an adjunct faculty member – he spent 10 years as a patrol officer, investigator and sergeant with Grand Island Police Department before a 20-year stint as Hall County sheriff – but he’s committed to his new role as a student in UNK’s Department of Criminal Justice. Rather than choosing the online option, the Grand Island resident commutes to Kearney two days a week to take courses in terrorism and crisis negotiations and substance abuse and addictive disorders. He wants to be on campus where he can meet face to face with faculty and fellow students. Julie Campbell, chair of UNK’s Department of Criminal Justice, believes the relationship can be mutually beneficial. Campbell appreciates Watson’s energy and enthusiasm, but his experiences are what really stand out. The York native earned an associate degree from Platte Technical College (now Central Community College) in Columbus before attending Doane College in Crete on a vocal music scholarship. He married his wife, Janie, halfway through his junior year, then left school to enter the workforce. After working as a loan officer and branch manager at banks in York and Central City and running a Grand Island rental business with his father-in-law, Watson decided to pursue his lifelong passion. 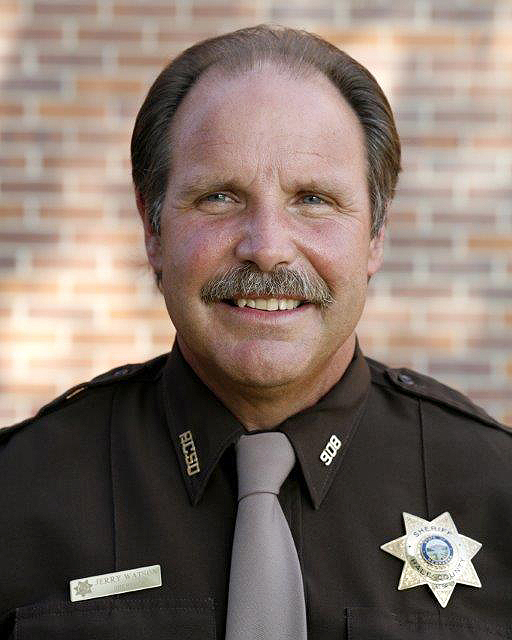 During his 30-year law enforcement career, Watson served as an instructor at the Nebraska Law Enforcement Training Center and helped launch the Central Nebraska Drug Court, a program in Adams, Buffalo, Hall, Kearney and Phelps counties that provides substance abuse treatment for defendants facing drug-related charges. More than 500 people have graduated from the program since it started in 2001, according to Watson, and 87 percent of those graduates haven’t reoffended. Watson, who remains active with the drug court, also helped create South Central Area Law Enforcement Services, a coalition of law enforcement agencies that collaborate on major investigations and training. 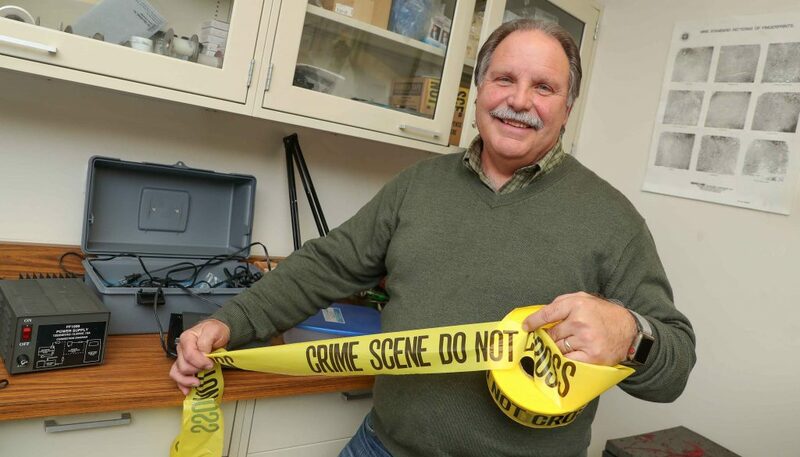 His latest venture is the Perpetual Learning Institute, a business he recently started to provide continuing education for law enforcement personnel and other professionals. He plans to bring in experts from across the country – and teach some courses himself – so law enforcement agencies can access specialized training without leaving the state. “I want to still have an impact in the profession,” Watson said. As for that other piece of unfinished business, Watson has about 20 credit hours remaining on his bachelor’s degree in criminal justice, and he’s just one hour short of a minor in music. His goal is to graduate in fall 2020 and join his wife and daughter Jessica as Loper alumni.